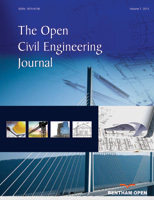 This paper aimed to determine the structural behavior of steel bearing systems by creating similarity conditions with field equations. Scaling plays a crucial role in designing experiments aimed at understanding the structural behavior of systems where experimental studies are difficult to perform due to huge structures in the profession of engineering field. Scaling can be performed by using dimensional analysis or by normalizing differential equations that describe the dynamics of the system. If a model and prototype are dimensionally similar, it is possible to estimate experimental results from model to prototype. The use of scaled models is common on engineering applications because these models allow conducting experimental tests without the need of a physical system (i.e. prototype) to be constructed. Considering these advantages mentioned in this study, it is formed a similarity relation between prototype and scaled models of different steel bearing systems is established. Similarity relationships between systems are created by field equations. As an example, column and cantilever beams were selected and 1/2 and 1/4 scale procedure was applied. The results obtained by finite element models in SAP2000 program for each system were compared with analytical results. The analysis results were examined and it was determined that scale factors are constant depending on scale types for different bearing systems. In addition, the influence diagrams of the systems were also examined and it was observed that the scale factor was fixed. Keywords: Dimensional analysis, Prototype, Scaled model, Similarity condition, Steel bearing system. © 2018 Altunışık et al.